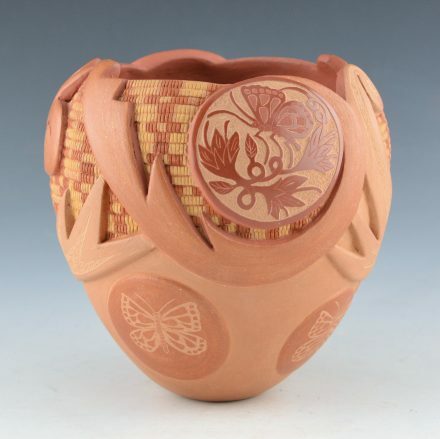 Grace Medicine Flower remains renown for her innovative and creative pottery. 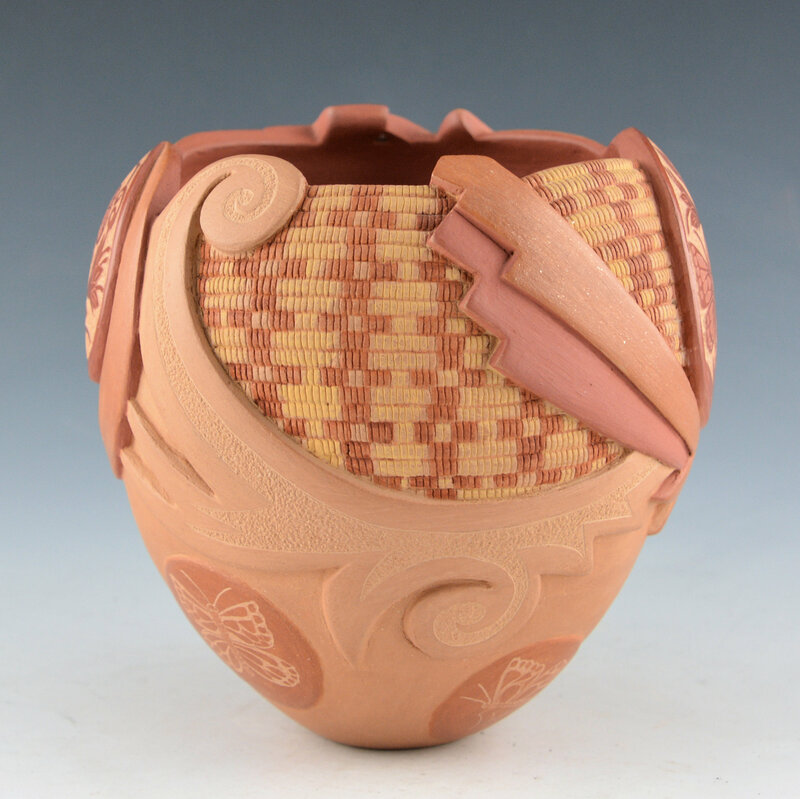 This is one of her dynamic “basket weave” pieces. She only made the basket-weave pieces for a few years before moving on to the polychrome pottery. 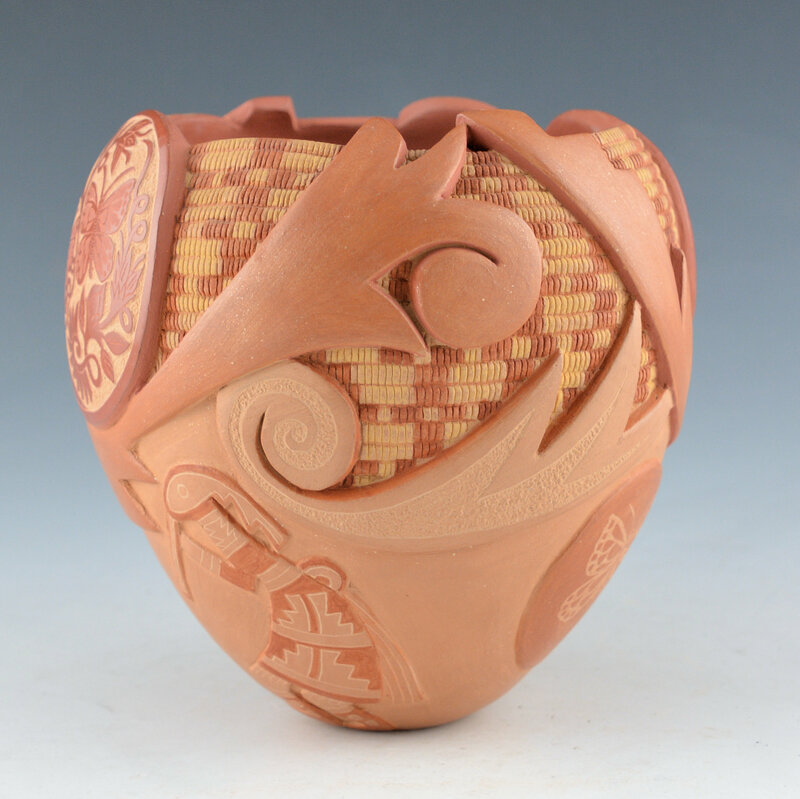 The concept behind these pieces was for them to appear as if the clay had fallen away and there was a woven basket underneath. The basket areas are carved vertically, incised horizontally and then painted with a clay slip. This piece has two large polished medallions. 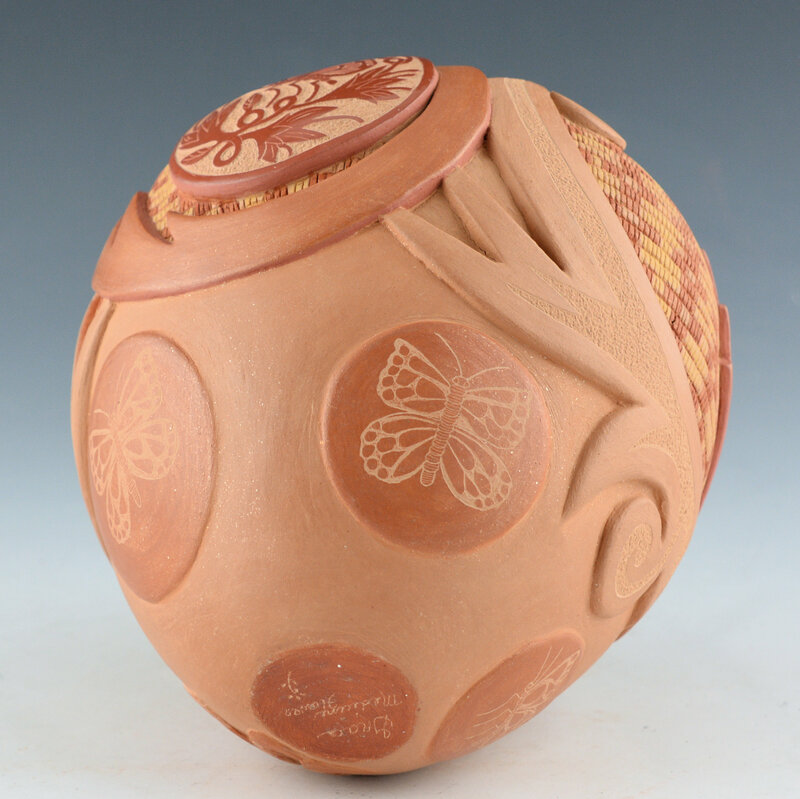 Each is incised with butterflies. Below one there is another matte medallion with a butterfly and a flute player carved in relief. Below the smaller medallion are two mica slipped medallions with butterflies. 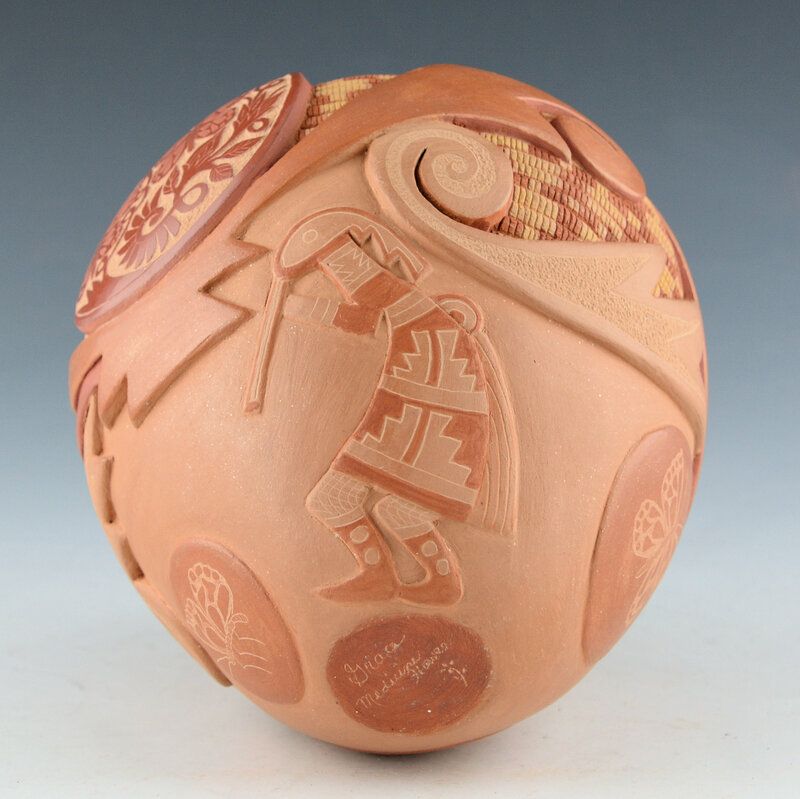 Take a closer look at the jar and note the overall variations of the depth of carving. There are at least four distinctive levels! Interestingly, Grace does all the carving, polishing, etching and painted slip on the basket designs before the piece is fired. 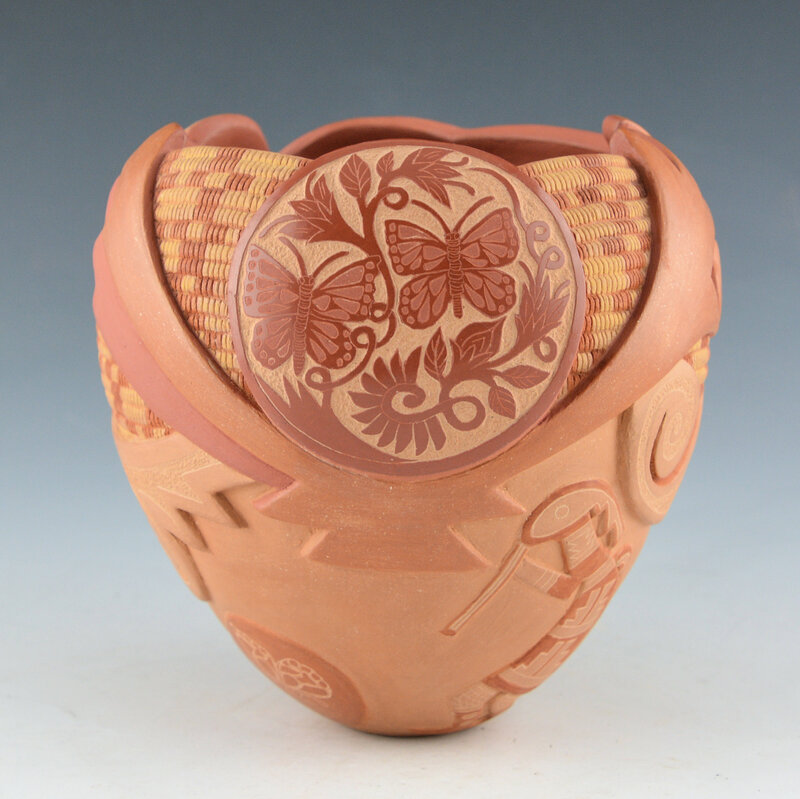 It is extraordinary how much time is involved in each piece of her pottery. The jar is signed on the bottom in the clay, “Grace Medicine Flower”. It is in excellent condition with no chips, cracks, restoration or repair.